From Rasputin to Run DMC, Edward VII to Ecstasy, Picasso to Prada: men's style and fashion have undergone a complete metamorphosis over the past century, going from the stiff formality of Edwardian dress to the present-day casual streetwear. 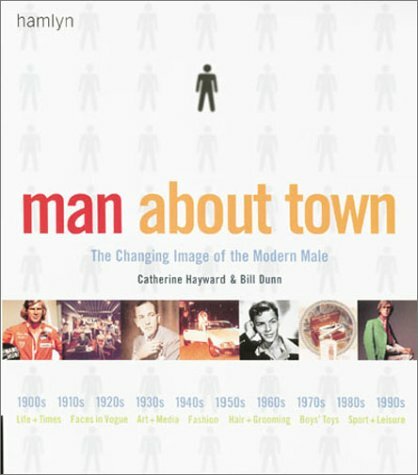 Take an intriguing peek, decade by decade, at changing male attitudes to life, apparel, and looks. Every period is defined by its representations in films and journals, hairstyle and grooming, personalities, trends in clothing, boys' toys, and sport and leisure. The events that made an indelible imprint on generations of men run the gamut from world wars to the invention of the Walkman and the launch of Loaded magazine, while the influential personalities who altered the course of history include such vaunted and diverse names as Sigmund Freud, Frank Sinatra, the Beatles, and Muhammad Ali, as well as designers Pierre Cardin, Calvin Klein, Georgio Armani, and Tommy Hilfiger. Highly illustrated, incredibly informative, and deeply absorbing, this is essential reading for the image-conscious man of today's world.